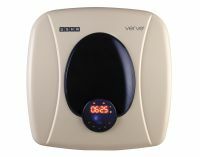 Usha Verve DG 15 litre capacity water heater is Soft Touch Digital Panel with Remote Control. It's High Pressure with-standing capacity suitable for high rise buildings and Incoloy 800 Element with enamel coating for longer life. It is Multi function Safety Valve and Fire retardant CFC free PUF insulation. This device is Whirlflow technology for faster heating and maximum energy saving. It is also featured with a Magnesium Anode Rod to prevent rust and corrosion. 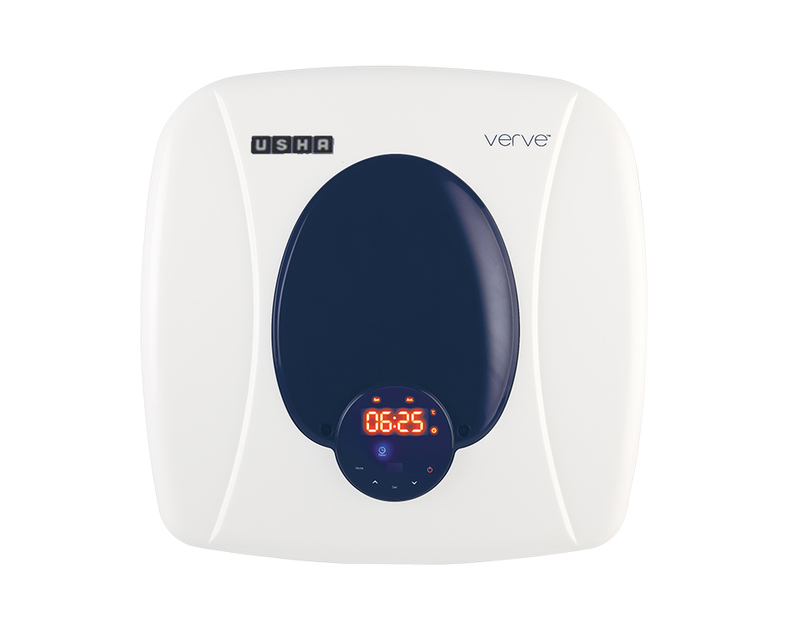 To Recieve updates and possible rewards for Usha Verve DG 15L White Blue please sign in. To Recieve updates and possible rewards for Geyser/Water Heater please sign in.